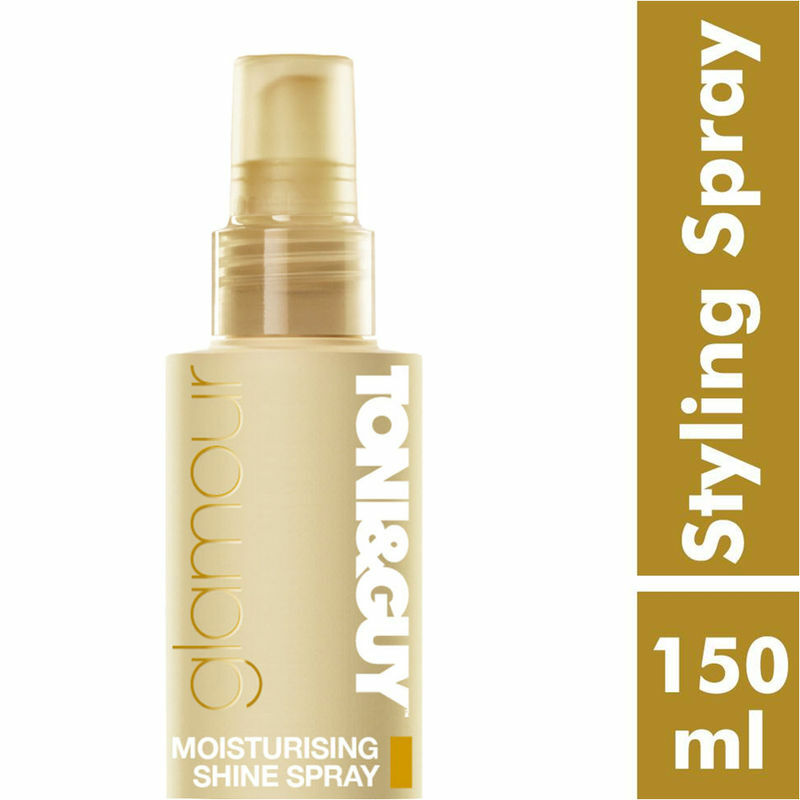 If you like to grab attention with your head turning, red carpet style, then Toni&Guy Moisturising Shine Spray is for you. Set your sights high with cocktail party looks created with Moisturising Shine Spray and Serum Drops from Glamour collection. Creating the ultimate in hold, powerful body and sleek styles, your hair will ooze style and sophistication with a dash of glitz. Let your tresses enjoy long-lasting smoothness. Its non-greasy formula helps you achieve smooth, shiny and glamorous hair so that you can style bouffant or high waves. For an added boost of shine and better distribution, turn head upside-down and spray while blow-drying with cold air. The TONI&GUY Glamour collection features a styling product that creates weightless shine and long-lasting smoothness, adding volume to your hair. TONI&GUY Create your look from the Hair down - features three fabulous fashion-inspired styling collectionsA "Casual, Classic and Glamour. Whether you're seeking timeless polished waves, pumped-up red carpet volume, or laid-back chic locks, you'll find the right styling products to complete your look. TONI&GUY has years of experience styling celebrities and top models and creating cutting-edge hair fashion trends. Tested backstage at international fashion shows, TONI&GUYs collection of salon-quality hair care and styling products is the perfect way to help you update your look. TONI&GUY understands that when your hair and wardrobe work together, you can fully express your personal style. Explore the entire range of Hair Spray available on Nykaa. Shop more Toni&Guy products here.You can browse through the complete world of Toni&Guy Hair Spray .